Apple's next-generation 4.7-inch iPhone will feature glass casing with wireless charging, according to the latest research note from KGI Securities analyst Ming-Chi Kuo obtained by MacRumors. Our rationale is as follows: (1) the OLED model may trigger replacement demand among high-end users given its completely all-new-design form factor and notably superior specs in comparison to the TFT-LCD models; and (2) the new 4.7” iPhone, featuring glass casing and wireless charging, looks well positioned to tap replacement demand at the entry level. Kuo previously said all new iPhones are "likely" to support wireless charging next year, so 5.5-inch and all-new OLED models will likely gain the feature as well in addition to the now-confirmed 4.7-inch model. Kuo believes Apple will switch to glass casing for next year's entire iPhone lineup in order to support wireless charging, with Pegatron being the exclusive supplier of the new 4.7-inch iPhone and a wireless charger expected to be included with at least some models. The wireless charger will allegedly have wider availability by 2018. The new 4.7-inch iPhone and an OLED model featuring a "completely all-new-design form factor and notably superior specs" are predicted to drive "potentially unprecedented replacement demand" from smartphone users. Kuo forecasts Apple could sell 120-150 million new iPhones in the back half of 2017, topping an iPhone 6 sales record. To our understanding, while demand visibility in 2H17F is as yet unclear and presumed pull-in demand may change anytime, upstream suppliers may be around now setting ramp-up targets for new iPhone pull-in of somewhere between 120mn and 150mn units in 2H17F, exceeding previous iPhone 6, 6s and 7 cycles of 110-120mn, 100-110mn and 90-100mn units, respectively. In other words, ramp-up for 2H17F pull-in may exceed the previous peak for iPhone 6, and hit a historical high. Apple will presumably announce its next-generation iPhone lineup in September 2017. Hopefully this will be long range wireless charging and not need a puck or dock. I'm out. My Apple hype is done for. While I do believe that an all-glass phone does make sense. I'm just too frustrated with Apple right now to care anymore. Kuo said Pegatron will be the exclusive supplier of the new 4.7-inch iPhone and its wireless charger. 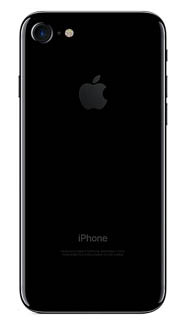 Our rationale is as follows: (1) the OLED model may trigger replacement demand among high-end users given its completely all-new-design form factor and notably superior specs the new 4.7” iPhone, featuring glass casing and wireless charging, looks well positioned to tap replacement demand at the entry level. This is one of my issues with Apple at the moment. "Entry-level" and "high-end" should not be terms used to delineate a lineup based on whether you want a large or small screen. But is it thinner, and does it only have ports that you can't connect to anything without a multitude of (not included) adaptors? Induction Wireless Charging now thats a new thing? And would explain why everybody is overreacting, right? Oh. It's not? Well what's all the fuss? Oh. Glass case. Now that's definitely new surely? Ok. OLED screens on mobiles a first? Yeah. It's the OLED screen. Surely! I think the new thing will not be the wireless charging, the OLED or the glass, but the fact that it will be a seamless, buttonless design without any holes/outlets whatsoever. One single block of glass. So in usual Apple fashion, it will not be a single new technology, but putting various state of the art technologies together in a new way that will make it special. I hope so. With Apple's long tradition of ditching ports I feel the days of lightning are truly numbered. Dock connector was on iPhone from 2007 to 2012, five years - and 2017 is 5 years after 2012 so it won't be long until it's gone, and I won't be happy if it's replaced with something that requires constant contact to a charging plate to charge. Wireless charging will, if the reports are correct, become the next wifi-like benefit that public spaces (like airports), retailers and coffee shops can offer to customers. Imagine the benefit of going into Starbucks for a cup of joe, browsing the web and getting a quick charge doing nothing more than hitting accept on-screen as we do now for wifi. No longer needing to carry cables with you, or look for wall outlets to charge. And once the charging tech is applied to laptops, workspaces can be created out of raw open areas, not requiring wiring be laid for desks / offices, since data and power can both be fed wirelessly. It's a huge change, if it can be accomplished.